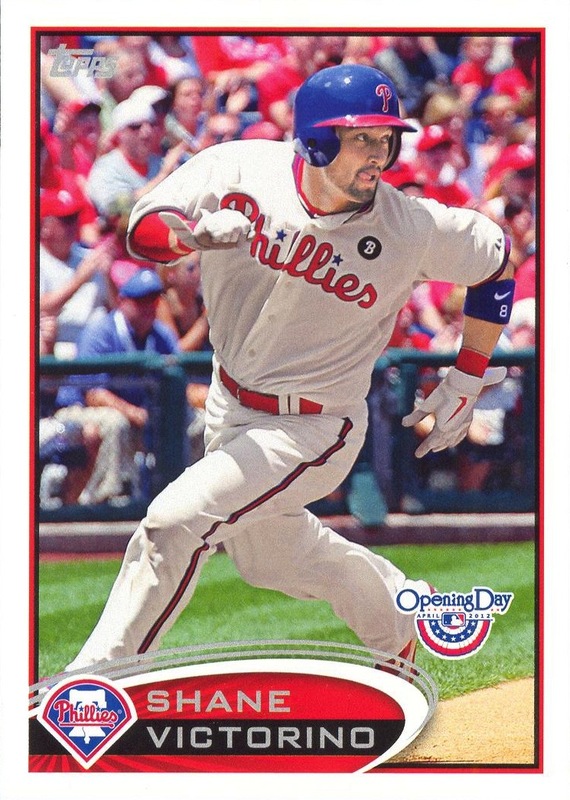 Additional Information/14,000 Phillies Commentary: A revised and updated version of the 2006 Hero Decks (Phillies) Baseball Heroes playing card set. Aside from the player selection for the spades, the most easily discernable difference between the two sets is the back of the cards, which previously depicted a baseball against a red background. Otherwise, the hearts, diamonds and clubs are basically the same cards that appeared in the 2006 version of the set, with the text on the card slightly realigned. However, a few cards which bore a nickname in the previous version, such as Willie “Puddin’ Head” Jones, no longer show the monikers, and Grover Cleveland Alexander’s name is somewhat oddly revised as Pete “Grover Cleveland” Alexander — Pete should be in quotes as a nickname. 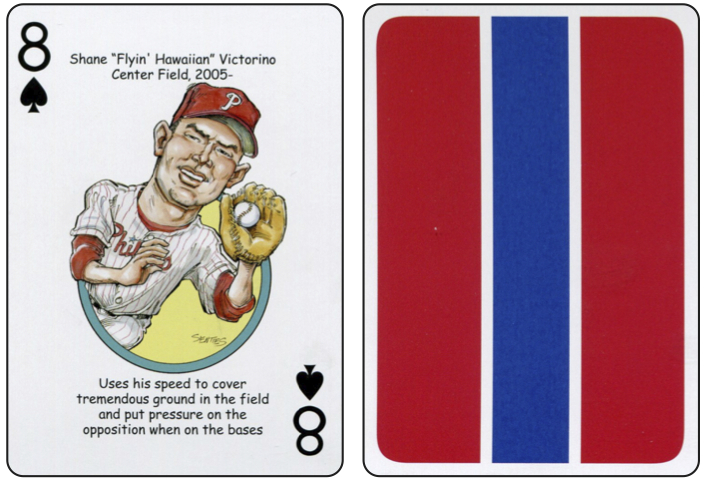 Th final notable difference is that Charlie Manuel replaces Jim Fregosi as the sole manager (Joker) in the deck. As for the spades, the Phillies run of success understandably made Parody Productions reconsider the players representing the ’90s through the present. 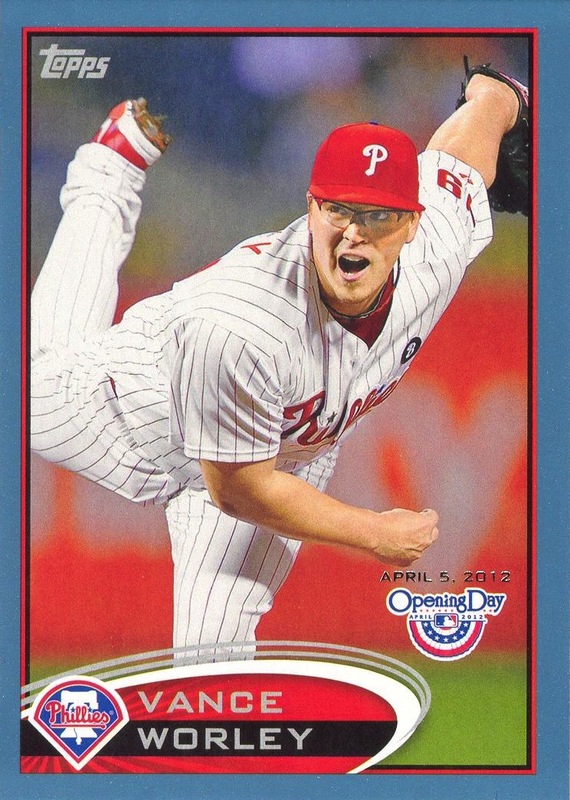 Schilling was demoted from his position as Ace, where Halladay was inserted — yes, he had a historic 2010 season, but at the time this may have been jumping the gun a little. Abreu was demoted from King, the position Parody typically reserved for the best position player/2nd best pitcher of that particular suit’s era, with Howard promoted to the spot. Along with some other reshuffling of positions, the revised suit also includes (in addition to Halladay) Cole Hamels, Shane Victorino, Jayson Werth, while removing Mike Lieberthal, Lenny Dykstra, Randy Wolf and Brett Myers. For the most part, I don’t have any real issues with the lineup change, but it’s a shame that Lieberthal had to go, given the amount of time he spent with the team. It seems to me that Parody could’ve bumped Daulton into the hearts with other players from the ’80s to save Lieberthal’s spot. The recent lackluster play of the Phillies over the past few weeks is one of many reasons why I have taken a short break from the almost manic updates to the Phillies Online Database. The last five seasons greatly spoiled me, and though I knew that the streak would eventually come to a depressing end, the suddenness of the Phillies collapse this season took me completely off-guard. I knew that regression to the mean was a quickly rising probability with any rapidly-aging club, and I was prepared to see the Phillies’ record decline quite a bit this year. However, the season has far exceeded any worse case scenario I envisioned as realistic back in March. So, the Phillies are now doing what any team in their position should try to do: retool for next year. 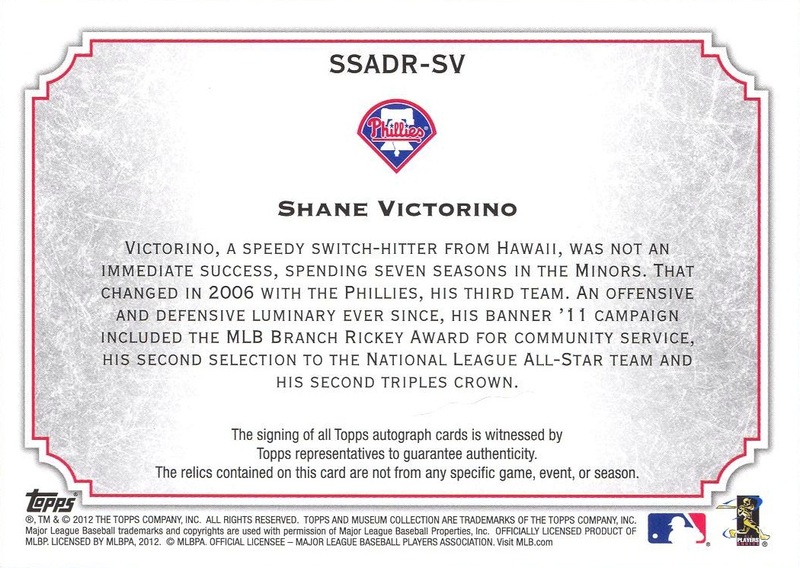 Sadly, that means trading long-standing members of the team like Shane Victorino. 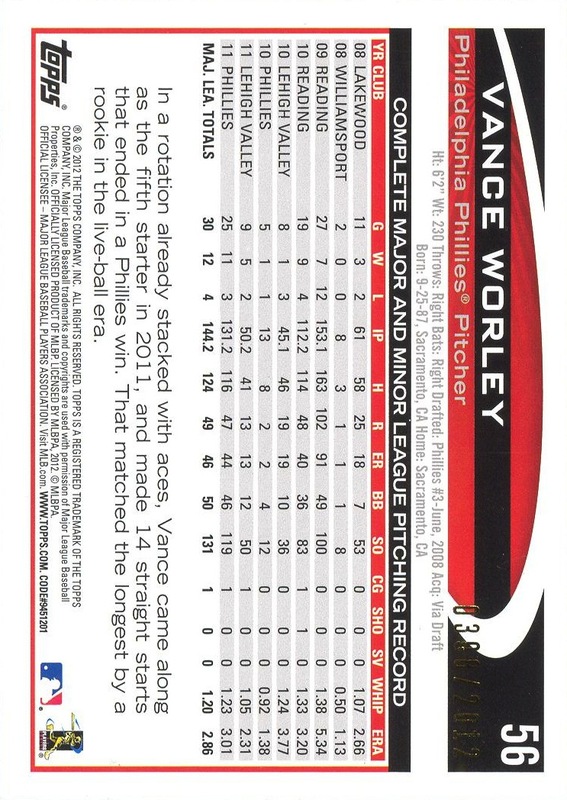 It might be hard to recall now, but Shane almost wasn’t a Phillie. After taking him in the Rule 5 Draft, the Phillies decided that they didn’t want to put him on the Major League roster, which meant they had to offer him back to San Diego. The Padres refused, which meant the Phillies got to keep him anyway. The rest was amazingly fortunate history. The Phillies run over the past five years does not happen without Victorino, and while trading him was the sensible move for the team now, that doesn’t make it any easier to say good-bye. 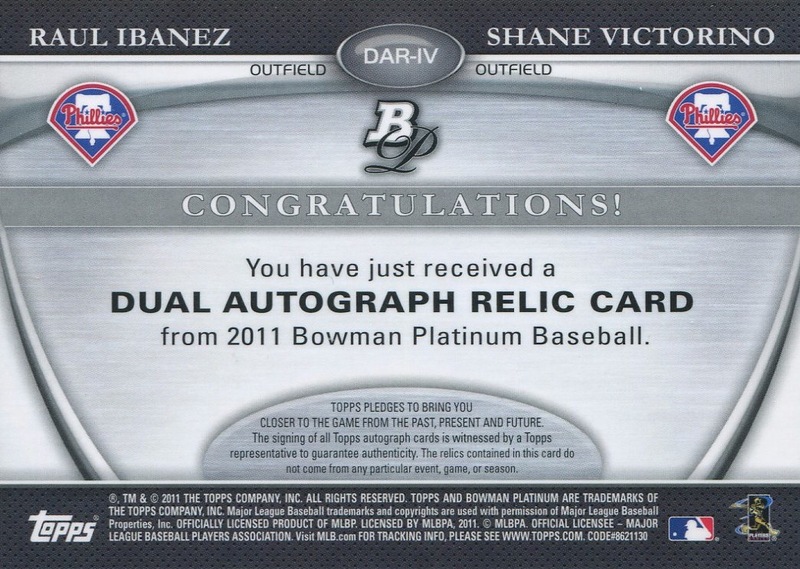 Shane provided a few moments that have become indelibly etched in my mind, but the biggest one, by far, was captured on the 51st card of the 2008 Upper Deck World Series Champions Box Set. I don’t remember anymore if he was already being called “The Flyin’ Hawaiian” before this moment, but regardless of when it was applied to him, there’s no picture that better captures the spirit with which he played while with the Phillies. I’m sad to see him go and equally sad for what his departure in such a manner represents. Of course, I will root against him whenever he’s facing the Phillies, and seeing him in Dodger blue will take getting used to — even though that might only be a two-month cameo. Nonetheless, like Pat Burrell before him, I wish Shane nothing but the best of luck in the future, and am grateful for his role in shaping the Golden Age of Phillies Baseball. 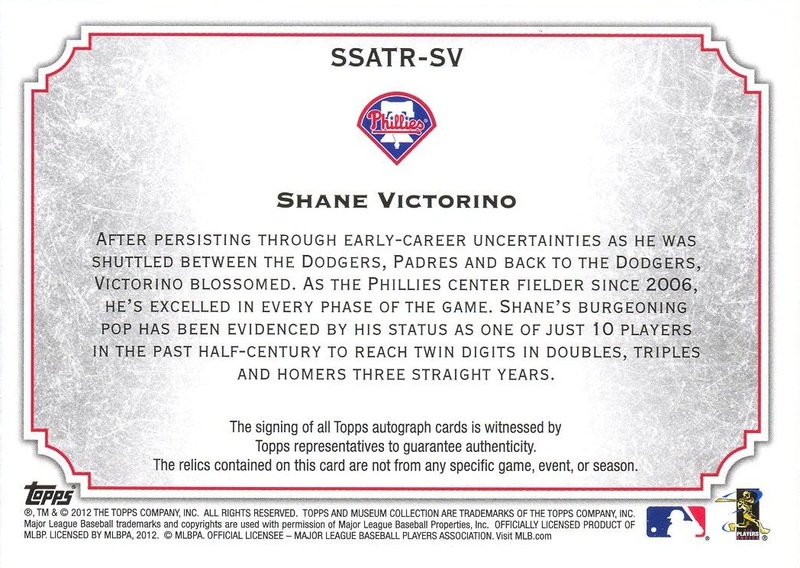 Additional Information: Inserted in packs of 2012 Topps Museum Collection. The print runs for each of the base cards varies by player. 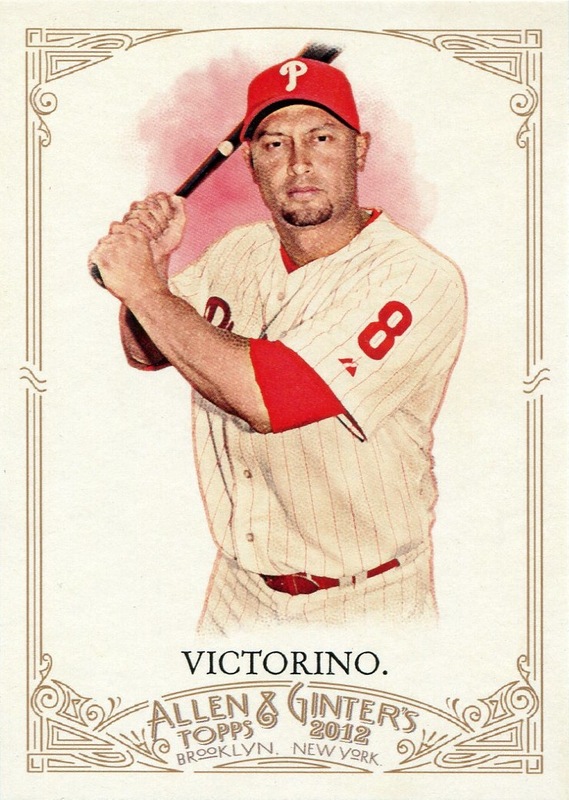 The Victorino print run is listed in parentheses after his name in the checklist below, but because the Pence card is distributed via exchange card, the print run for his base card is unknown at this time. All the cards, both base and parallels, bear the serial number on the front of the card and contain jersey and/or patch swatches for each of the players shown. These swatches, with the exception of the Patch parallel, bear what appear to be a random selection of patch, road jersey, home jersey and alternate jersey swatches. The Patch parallel, as the name suggests, contains two patch swatches on the card. 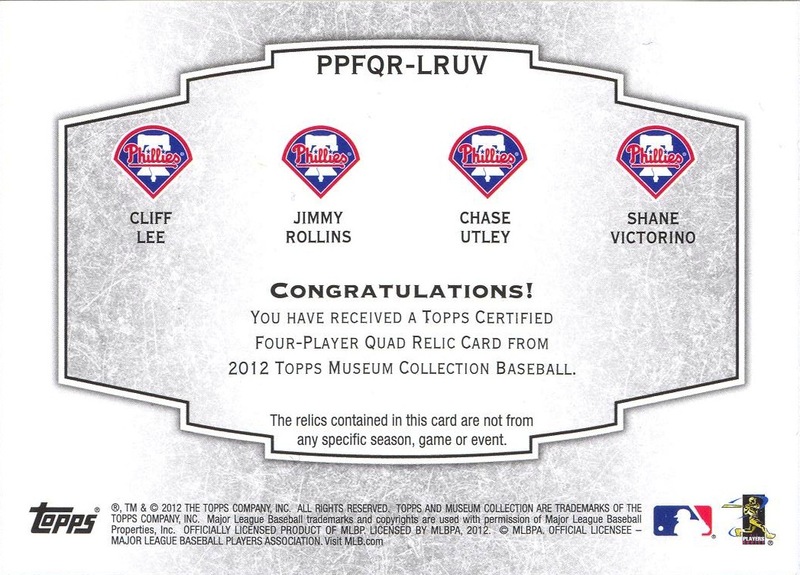 Additional Information: Inserted in packs of 2012 Topps Museum Collection. The base cards are serial numbered to 70. All the cards, both base and parallels, bear the serial number on the front of the card and contain jersey and/or patch swatches for each of the players shown. These swatches, with the exception of the Patch parallel, bear what appear to be a random selection of patch, road jersey, home jersey and alternate jersey swatches. 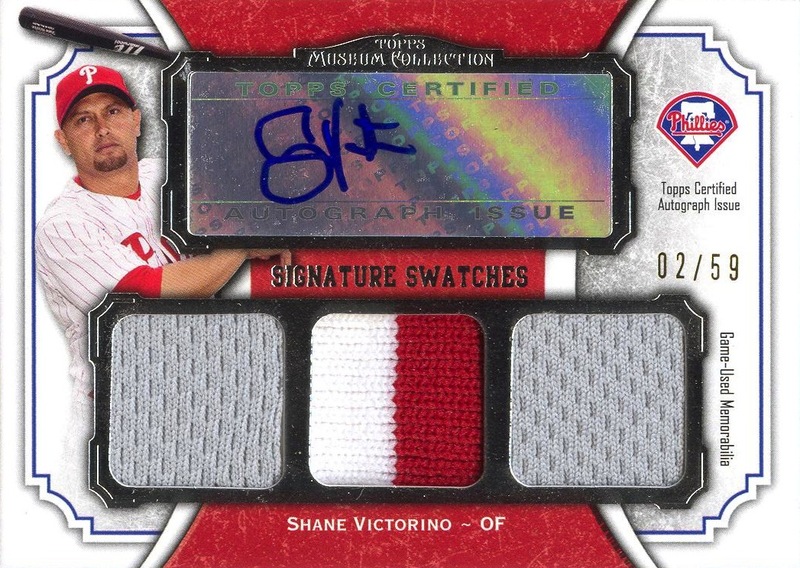 The Patch parallel, as the name suggests, contains two patch swatches on the card. 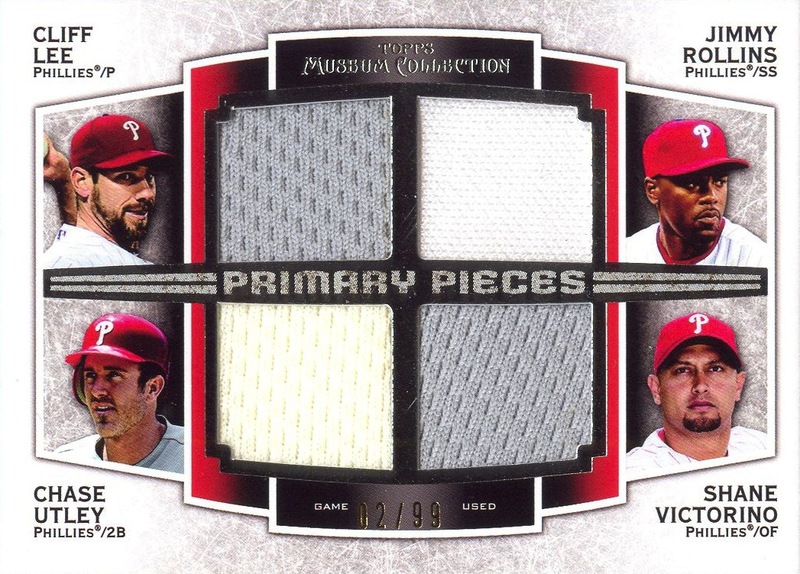 All the Pence and Hamels cards were made available via exchange cards. 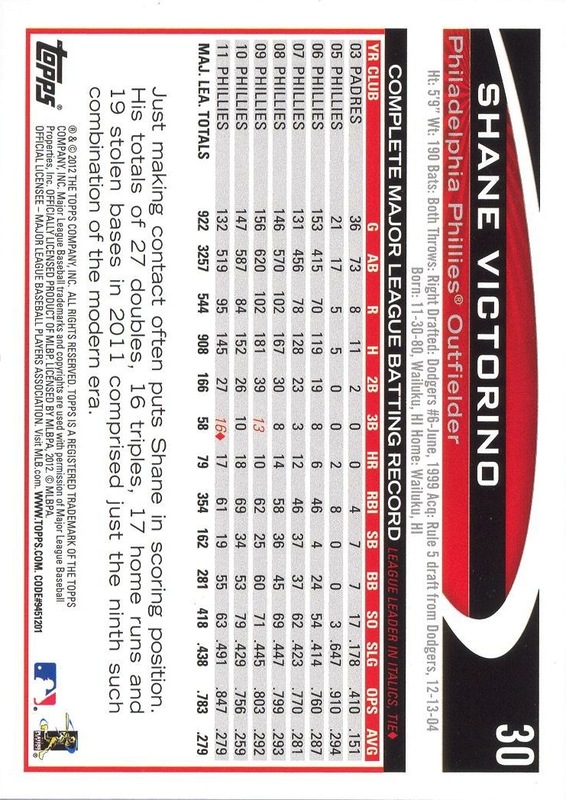 Additional Information: Inserted in packs of 2012 Topps Museum Collection. All the cards, both base and parallels, bear the serial number on the front of the card and bear jersey swatches for each of the players shown. The Patch parallel, as the name suggests, contains a patch swatch for each player on the card. 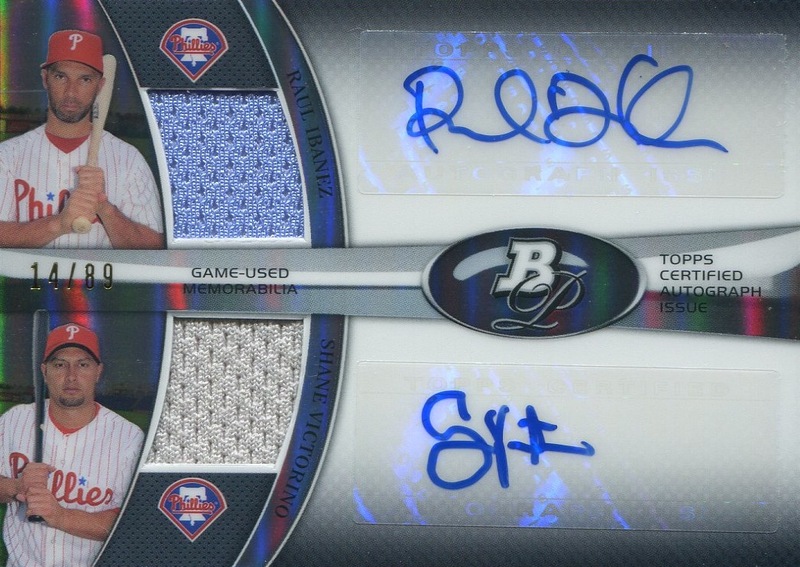 Topps did not issue Patch parallels for either of the PPFGR-GHPT (Ryan Howard) or PPFGR-RRTC (Jimmy Rollins) cards.